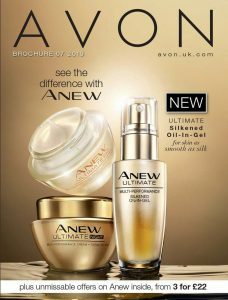 Have you thought about joining Avon? But just not sure what it’s all about? Then read on as I have picked out the top 10 Avon FAQ that I get asked by new representatives – for the full Avon FAQ guide download our FREE Ebook. We hope that you will stay with us long term as a member of our team. If your circumstances do change though and you need to close your account, then all you need to do is clear your balance and notify your team leader. When you have missed three orders your account will become inactive, you can reactivate your account though anytime within a year of your last order for free. No – although the traditional way to sell Avon is door to door we have many team members who simply sell to friends and family, at work and through social media online. You can now also sell Avon solely online. All representatives get full help and support from their team leader, area manager and Avon. Avon send weekly emails and have online training plus their great forum ‘Beauty Connects’. As a member of our team we also provide a dedicated Facebook group for representatives and regular drop in meetings. Avon order dates are three weekly through out the year, you can order as many times as you wish during each three week selling window. There are seventeen brochures a year. Rachel Beecham – I was working at a part time job before AVON and they started to want me to work more hours, which I couldn’t handle as I had a child out of school at the time that I needed to look after. So I decided to look into finding a job that would fit around my life and that job turned out to be Avon.